Liguria, the Riviera di Levante and the 5 Terre: a journey through the waters of the Mare Nostrum in search of small paradises within reach of a boat! Are not you sea wolves? It matters little. Indeed, for a boat holiday this is not what matters. It only serves the true desire to live with feet far from the ground, in every sense. Allow the wind to decide and the sun think of the rest of the cove in the cove, of port in port. Every day a different destination, one for everyone: for those who want to enjoy the sea only relax, for those who prefer to live intensely with a more sporting spirit for those who want to combine cultural interest to holiday in freedom. ...Camogli, known as the City of "Mille Bianchi Velieri" an ancient fishing village, remained intact from the time when its captains and shipowners conquered the seas of the whole world. To breathe some of its history just visit its historic center, characterized by high houses with decorated facades, leaning against one another, strolling through the "carruggi" of the medieval village or visiting the Maritime Museum, the Archaeological Museum and the Library Civic with the historic Napoleonic room. The small port, dominated by the Dragone Castle, preserves a lively fishing activity, in addition to the numerous small fishing boats, also the boats and the equipment of the tonnara, the only plant of this kind that survived in the Ligurian and Upper Tyrrhenian Sea. 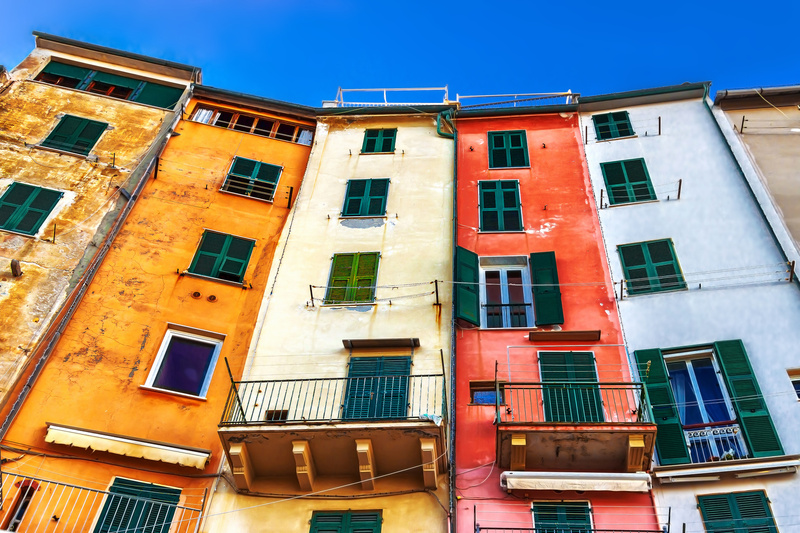 ...Santa Margherita walking on the promenade dominated by the imposing silhouette of the Castle, built starting in 1550, the pretty tourist harbor and a swarm of shops, bars, restaurants and trendy bars. And then Sestri Levante which rises on the alluvial plain of the Gromolo torrent close to the rocky promontory called by the inhabitants simply "island", which stretches towards the sea is joined to the mainland by a thin isthmus that divides the enchanting Baia delle Favole from the even more suggestive Bay of Silence. The "jewel of Liguria", Portofino! Exclusive, chic, worldly, famous all over the world. Since the fifties, Portofino has become one of the symbols of sweet life; the place where you can meet, on the quay of the marina, in the quaint alleys, the Hollywood stars, great names of art, politics and industry. 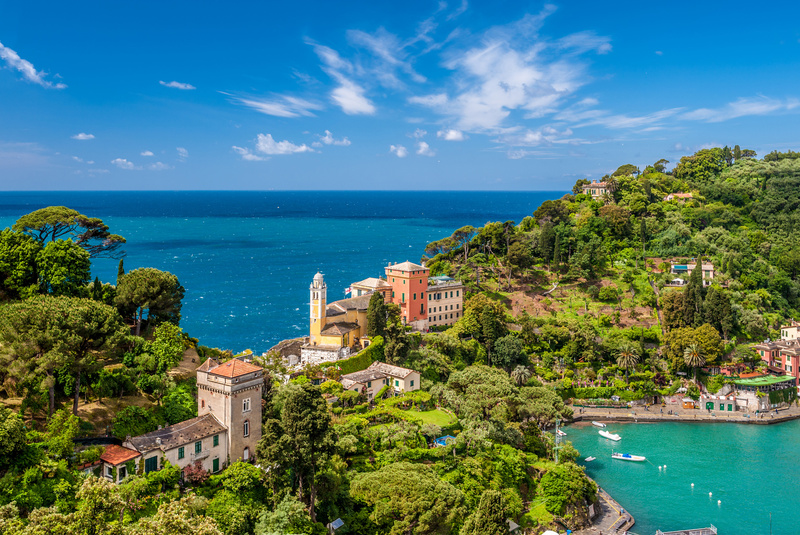 But Portofino is above all a small fishing village that develops around its port and the main square and reveals glimpses of extraordinary beauty and poetry. 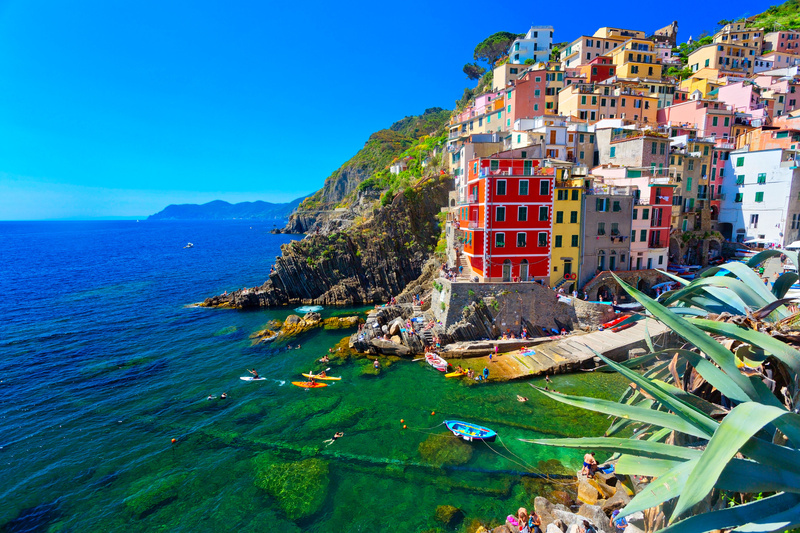 All the ingredients are there, then we set sail to discover Liguria! Discover our Cruises in Liguria!